Your body’s regulatory system depends on a routine, so setting a sleep schedule and sticking to it as much as possible is one of the most important things you can do. Circadian rhythms affect your hormone levels, helping you stay alert during the day and drowsy at night. Any disruptions can negatively impact your internal clock and cause your hormones to get out of whack. Allow yourself an extra half-hour to unwind and relax before going to bed. Take a bath, read in a quiet setting, or listen to soothing music. Don’t watch TV, play on your smartphone, or read the news, all of which can cause stress and stimulate your mind. Exercising regularly can help you control your stress levels, improve your health, and burn off some of the energy that might keep you up at night. However, avoid exercising within several hours of your bedtime. Your natural rhythms need time to slow down and prepare your body for sleep. Light can disrupt your body’s melatonin levels, which are needed to fight cancer and regulate your body’s circadian rhythm. That’s why keeping your bedroom dark and quiet is necessary for a good night’s sleep. Don’t drink coffee or any other product containing caffeine at least four hours before your bedtime. Also, it’s important to avoid a pre-bed nightcap, as alcohol tends to disrupt sleep. If you can’t sleep, get out of bed and leave the room for a while. Doing something else will often make you sleepy. 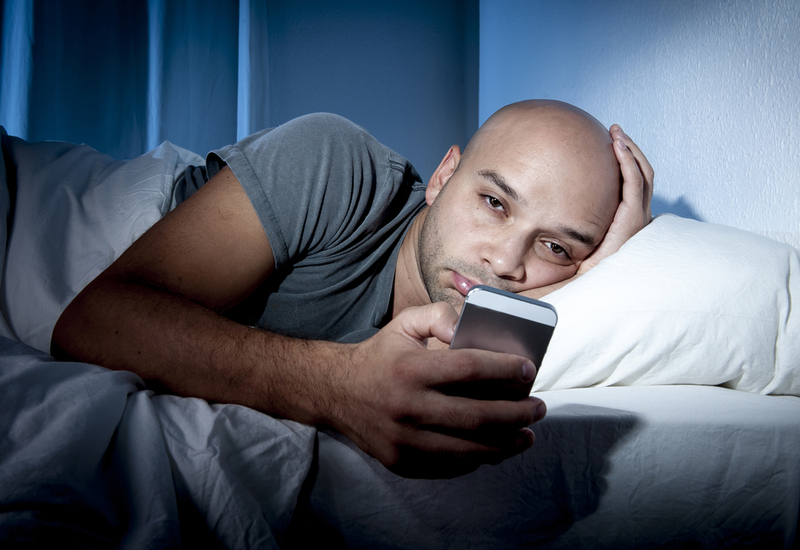 If you lay there, you’ll likely focus on the fact that you’re still awake, which makes insomnia worse. Insomnia can cause mood swings and an inability to cope with stress, so overcoming it before it seriously impacts your mental and emotional well-being is key. Peggy Sealfon-Stonewater Studio can help. Schedule a free private session here, or visit the website to find out how to connect with this life coach. Or to discover over 100 simple ways to interrupt patterns of stress (which may be causing your insomnia, order the best-selling book Escape From Anxiety.